As Chile looks forward to hosting their first Pan American Games in history in 2023 and trains athletes for the Lima 2019 Pan Am Games, Panam Sports looks back at Chile’s history at the continent’s top multisport event. With multiple medals won at every edition of the Pan American Games, Chile is consistently one of the top performing countries at the region’s biggest event. Since winning eight gold medals at the inaugural edition of the Pan American Games in Buenos Aires in 1951, Chilean athletes have amassed an impressive total of 44 gold, 91 silver and 151 bronze medals. The 44 gold and 286 total medals puts this South American powerhouse in 9th place all-time at the Pan Am Games throughout the 17 editions that have been held. Although the eight gold medals won at Buenos Aires 1951 remain the country’s top mark at the Games, the total medals won at each Games has begun to increase. Chile’s best medal performance in history came as recently as the Guadalajara 2011 Pan Am Games, with a total of 43 medals won. 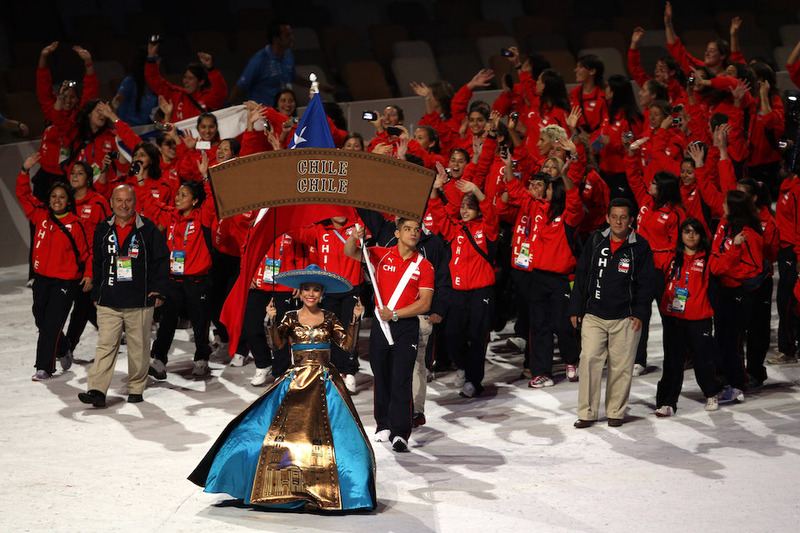 At the Toronto 2015 Pan Am Games, Chile won five gold medals and 29 total. Triathlete Barbara Riveros and Water Skier Felipe Miranda were two of the stars of the delegation that featured 306 athletes competing in 34 sports. With Riveros and other stars such as Arley Mendez leading the charge, Chile expects to do even better at this year’s Pan American Games in Lima, Peru. One of the largest athlete delegations in Chile’s history is expected to compete in the Peruvian capital this July. In 2023, Chile has the honor of hosting the Pan American Games for the first time in their history. The capital of Santiago will welcome the 19th edition of the Pan American Games and the next generation of Pan Am Games stars in just four years. Chile will have the power of their fans behind them to try and climb the medal standings at their first Pan Am Games ever on home soil. Panam Sports congratulates Chile and their historic achievements throughout the Pan American Games, and wishes Chile’s athletes success at the next Pan American Games that begin July 26 in Lima, Peru.